You have to search long and hard to find a place as beautiful and complex as Maguindanao Province in the southern Philippines. Multiple ethnicities clash along political and economic fault lines. Yet these groups band together when threatened by incursions of the national government which, throughout its history, has made multiple missteps in engaging with its restive southern provinces. Given these factors, impl. 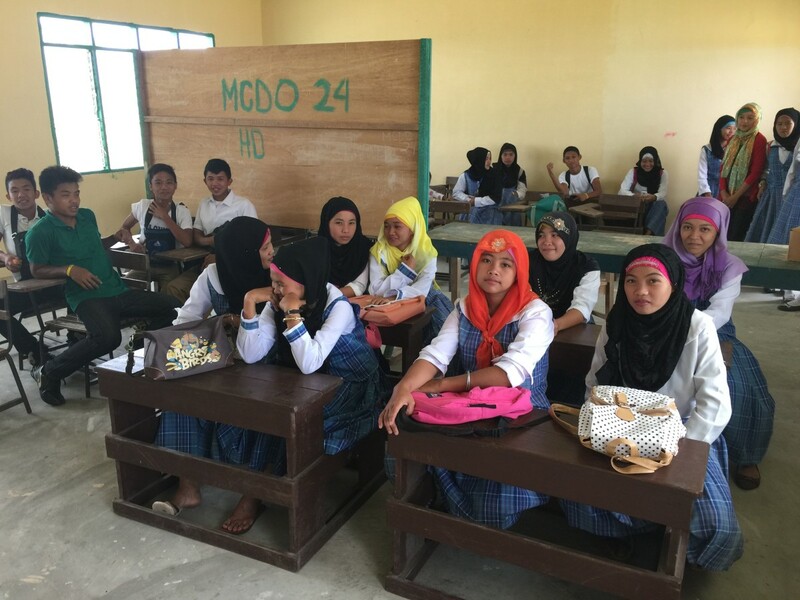 project chose Maguindanao as its pilot province on resiliency. Maguindanao’s municipalities present both obstacles and opportunities: we chose Barira to explore the former, and Datu Paglas to showcase the latter. Barira, former headquarters of the Moro Islamic Liberation Front, is a rural, mountainous community that has seen decades of war between its proud, independent people and the Philippine military. Datu Paglas sits at the other end of the spectrum: a stable, developing community that wants to spread the wealth of its city-center to the outlying communities. Both municipalities will get their own blog posts in due time, but the data gathered from both municipalities were clear: livelihoods is a ubiquitous need throughout both pilot areas; potable water is making people sick and unproductive in Datu Paglas; drug-driven crime and the breakdown of community policing is making Barira unsafe for its families. This stream serves as both wash tub and toilet for a community of 50 families in rural Datu Paglas. In Datu Paglas, there is a complete lack of sanitary facilities, and one dilapidated well serves as the sole water source for 50+ families. Gawad Kalinga, using the data gathered together with us in the field, have already deployed water filtration systems to Datu Paglas to address this need. Data from the municipal health clinic show that the prevalence of water-borne illness is increasing, and many of these cases go unreported because the clinic rarely has antibiotics to treat these diseases. While the filtration units will provide a good stop-gap capability, we’ll have to find a more sustainable, long-term solution to this water issue. A young man who left school to supplement his family’s meager income. Livelihoods are the biggest problem for Barira, causing a cascade of secondary and tertiary issues. Few of the farmers own their own land. As tenants, they keep only 20% of the total yield of each hectare. With this meager income, they have to buy seed, fertilizer, and feed their families. They lose 20-30% of each harvest to rot because they lack storage and drying facilities. Moreover, everyone grows the same crops, creating market gluts when the harvest occurs. This father and his two sons make cement blocks from the volcanic sand, and sell them as fast as they can make them. However, they don’t have access to the capital they need to buy more cement to produce these blocks. To address these hard economic issues, boys must work to supplement the family income instead of attending school. The only opportunities available are either on farms or performing manual labor, such as making cinder blocks from the abundant volcanic sand. The out-of-school youth, seeing their fathers toil for years with little success, often begin to smoke meth to take the edge off their hard lives. Once addiction occurs, these boys resort to stealing cows and horses from other poor families to pay for drugs. Sometimes they are killed when stealing the livestock, often resulting in blood feuds between clans that has made Maguindanao infamous (see “Maguindanao Massacre”). Barira’s young men, it’s own “Lost Boys”, are now in a precarious position, at once vulnerable and predatory. Local warlords then move to recruit them as foot soldiers, or worse, they are radicalized into group like the Bangsamoro Islamic Freedom Fighters (BIFF). impl. project’s data stands as the only robust data set of both qualitative and quantitative information on these communities, long written-off by government entities in Manila and Washington as too dangerous to engage with and do programs. Yet these are among Mindanao’s most at-risk communities, and they need help now. Girls outnumber boys 2:1 in Barira High School because of the pressing need for families’ sons to help pay the bills. In concert with our local partners, impl. project will be focusing on addressing these local drivers of conflict and radicalization by engaging the out-of-school youth, promoting new crops and better agricultural practices. We are exploring new crops for diversification and farm-to-market initiatives for these youths to give them a say in their futures, and work toward the resiliency and prosperity of their communities. Stay tuned as we work with these brave communities in Maguindanao to address their common issues. Want to get involved? Email us: contact@implproject.org.